We have all heard the alarming statistics about how many small businesses fail each year. Apart from a great product and good service, the real key to survival is effective marketing. Sadly, this aspect of a small business is often neglected or poorly executed. These days, online marketing is an essential part of the small businesses marketing mix. A great website is of no benefit if no one sees it. It is vital that there are many links to drive relevant traffic to your online portal, but how do you do that? SEO stands for search engine optimisation. Essentially, it is a set of rules and tactics the owners of web sites or blogs can employ to improve their search engine rankings. The better your SEO is developed, the more people will get to see your site and you will be able to get your marketing message across to the relevant people. Now that we understand a bit about what it is, let’s look at why SEO is so important. Good SEO will create a good user experience for viewers of your site. If done properly, it will make your site fast, friendly and simple to navigate. This will give you great reviews, good referrals and more repeat visitors. This means more effective marketing resulting in better business. A high Google ranking will enable you to reach new customers and new markets, one of the main reasons for having the web site or blog in the first place. People are lazy by nature and seldom venture past the first page or two of a search result. They also put more trust into a page that comes up near the top, believing them to be more credible, reliable and relevant. It is a bit like positioning your store near the main entrance in a busy mall as opposed to down a quiet area with few other attractions. The high ranking gives not only more potential visitors visibility of your site but a sense of trust as well. The great thing is, if people are already searching for your product or service, and your site comes up near the top in a search, you have an opportunity to market to highly relevant potential customers. In this way, good SEO gives one of the best ROIs of any form of advertising. 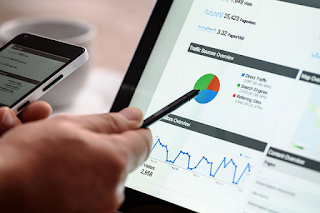 Using Google Analytics, as part of the SEO process, will inform you of vital data regarding you site visitors. Demographic information and searching/browsing behaviour is important to understand. You will also be able to see what people are looking at and where they click. This will enable you to better understand your top content as well as the least relevant pages. Another import indicator, if you have an e-commerce enabled site, is where people abandon their shopping cart. One can also take note of how many users are browsing on a mobile device. All of this information is essential to understanding your target audience that much better and will enable you to improve and fine tune your page for optimal results. Remember, this is an on-going exercise that needs to be looked at frequently. Armed with all this information and applying it, will naturally lead to more people taking action and responding to offers on your website. This, after all, is the main point of having it. The people were already looking for your product or service, good SEO with get them there and make it easy for them to find and purchase what they were looking for. One of the big challenges for a small business is establishing a recognised, reputable and popular brand. Budget wise, you will never be able to compete with the large, established companies. Correctly implemented SEO will give your brand great exposure and credibility at a fraction of the cost of huge advertising campaigns. Small business is full of challenges and anything you do to improve your chances of success is vital. Having a well-constructed web site and/or an interesting blog, will go a long way towards improving your chances of success. Take the time and effort to understand SEO and make your online presence work for you.